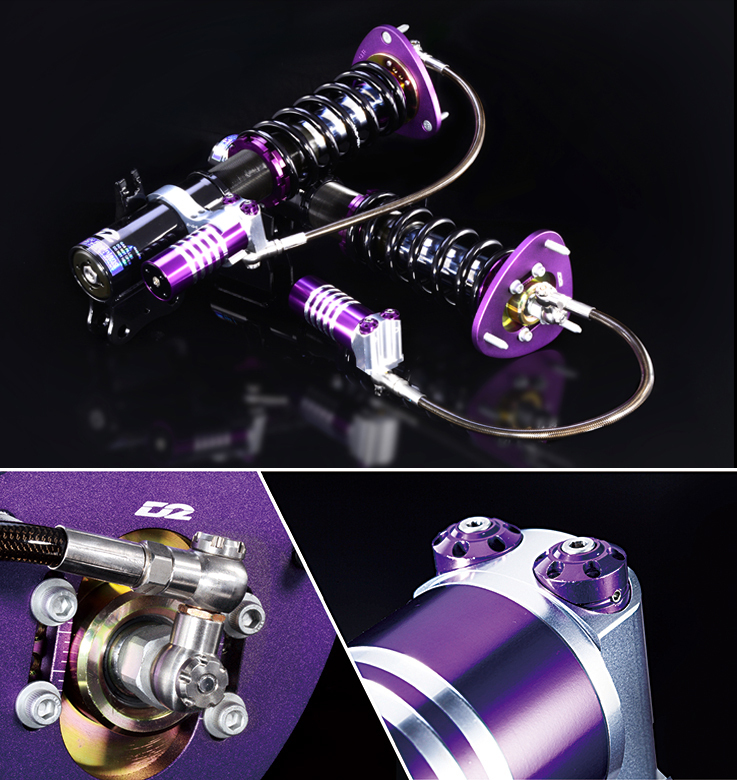 The product is developed for racing purpose. It mainly goes with inverted structure suspension and able to extend the amount of oil. The design comes with adjustable fitting which can be 720 degree rotatable, and it’s only available for a few car models. The product isn’t recommended for street purpose. There are 3 adjustment knobs in this unit. One is for adjusting nitrogen pressure and the others are for adjusting the damping force. The compression and rebound damping settings can be adjusted separately and above-mentioned adjustment knobs can be adjusted separately as well; there are 11664 different settings to adjust. The product is produced for our VIP, and there are 3D pillowball top mount, pillowball top mount and rubber top mount for customers’ options. Any application that doesn’t appear on our application guide can be customized to meet our sole distributor’s requirements.